Andrew Ganz May 4, 2018 Comment Now! 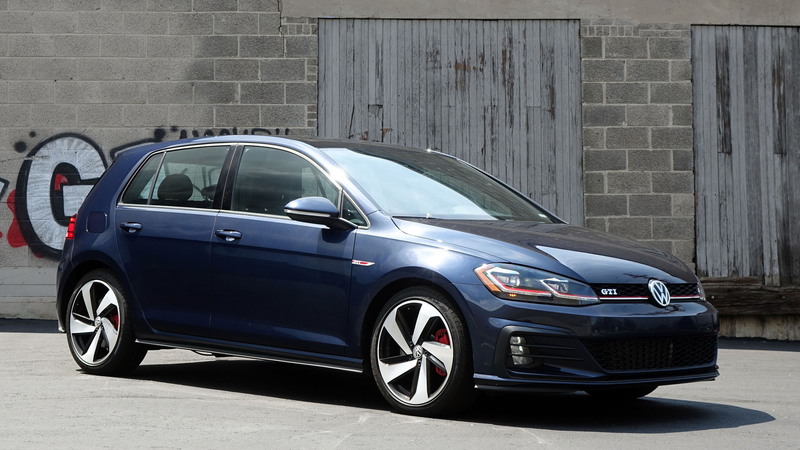 No one car can do it all, but the 2018 Volkswagen Golf GTI comes pretty close. VW’s hot hatch is almost as happy snaking through twisty canyon roads as it is doing adult stuff like hauling home lumber for a weekend project from the corner big box hardware store. Slap a roof rack on top and swap out the Pirelli all-season performance rubber for winter tires and it’s hard to imagine a more versatile vehicle. Admittedly, the GTI has its limitations, but it’s very good at most everything, as I recently learned during a week of extra-routine driving. By extra-routine, I mean that I intentionally saved a few projects for GTI week and I took the long way home whenever possible. We’ve heaped plenty of praise on the MQB underpinnings of the Golf. Even in the latest Jetta, the Walmart version of this platform with its torsion-beam rear axle, makes for a capable, composed sedan. The GTI takes things so much further. Its reflexes are razor-sharp thanks to a suspension that’s just the right side of firm in most driving. Its brakes can grab a little too hard in town, but they resist fade wonderfully on a curvy road. Even the piped-in noises it makes (which can be turned off) sound right, something I can rarely say. Only a little too much unnecessary roughness caused by occasional harsh impacts muddies its daily-driver ability. The all-season Pirelli 225/40R18 tires could use a hint more sidewall for urban driving unless you live where the pavement is glassy smooth. The GTI has never been light on driving personality, but you'll have to shop wisely to get one that looks as fun as it is to hoon around. Admittedly, this complaint stems from the way the GTI I sampled was ordered. The $695 leather upholstery option is priced reasonably, but its so-so hides take the place of ultra-groovy plaid fabric. That trim is a nod to the GTI's past. Leather is not. Then there's the dual-clutch transmission lever. Opt for the standard stick-shift and you get a shift knob shaped like a golf ball—dimples and all. The dual-clutch lever's generic design is shared with VWs as plebeian as the Atlas crossover. Put succinctly: a GTI with leather and an automatic doesn't look or feel as special inside as it should. 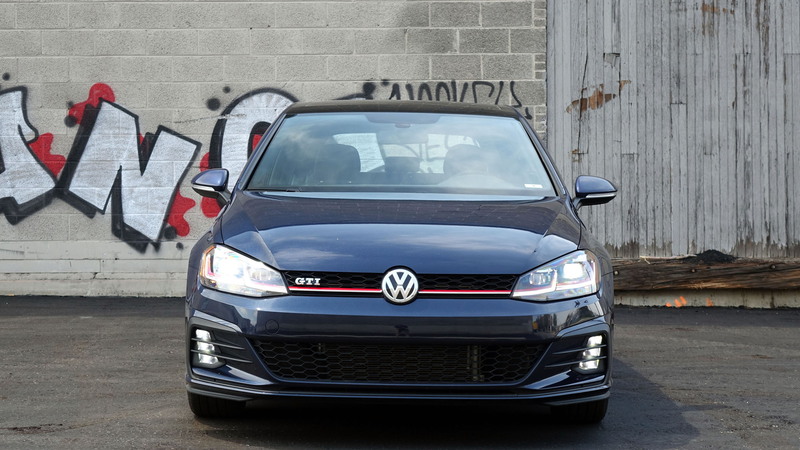 VW’s no-nonsense approach to infotainment makes the GTI a low-distraction, easy-to-use hatchback. The 8.0-inch touchscreen included with SE and Autobahn trims responded quickly to my inputs and worked well with Apple CarPlay. Unfortunately, VW outfits the GTI with just one USB input. A second one for passengers would be nice. Maybe next year. We spend a lot of time looking at interior measurements, but cargo and human capacity is best experienced in the real world. During my week in the GTI, I hauled four passengers around in comfort. I didn't even hear complaints from the middle rear-seat rider, but privately she may be holding a grudge. I folded the rear seats flat to make the most of its SUV-rivaling 52.7 cubic-feet of cargo capacity. I even stuck some plywood between the front seats on one particularly overzealous Home Depot run. 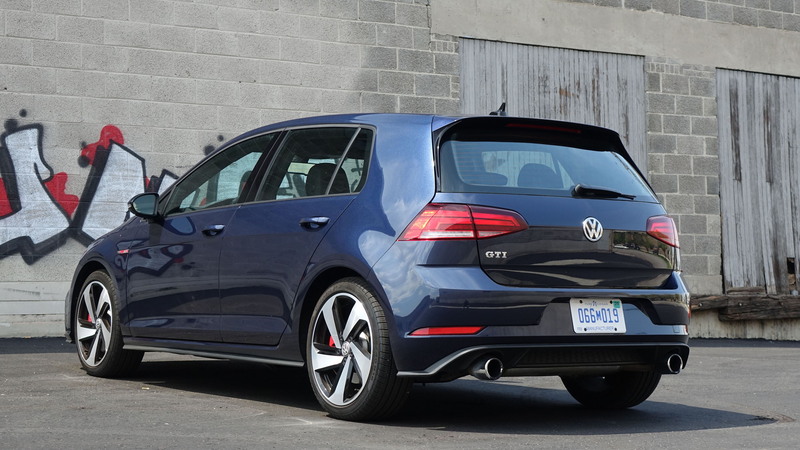 The GTI’s hatch opens wide and high and the bumper is low enough to make lifting heavy items a cinch. Though my tester didn't have a roof rack, there are plenty of aftermarket options. I was able to put a mountain bike in the back without removing the front wheel, though it was a very tight fit. The GTI is a reminder that crossover SUVs are basically hatchbacks on stilts. Rarely do we find new cars that exceed the fuel-economy figures bestowed upon them by the EPA. Such was the case with the GTI I drove, however. I saw upward of an indicated 40 mpg on a long highway jaunt and wound up with about 32 mpg during a week of more enthusiastic driving that included liberal use of the throttle pedal. That’s a heck of a lot better than the 24 mpg city, 32 highway, 27 combined the EPA says. 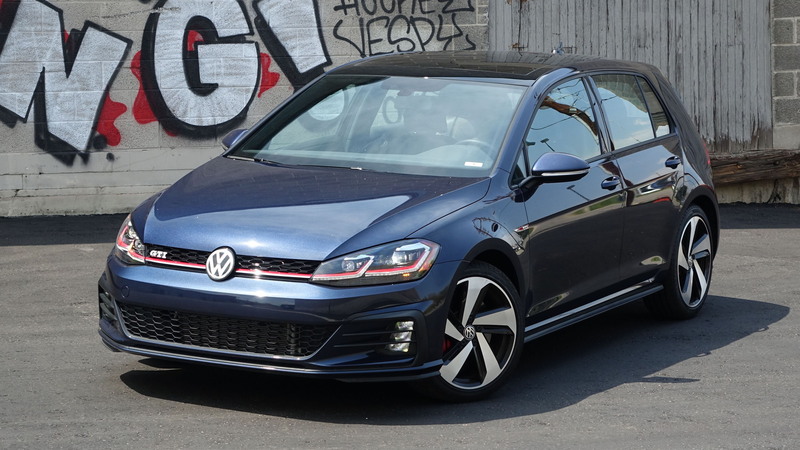 It’s hard to think of a more versatile new car than the Golf GTI, especially at around $31,000 as-tested. 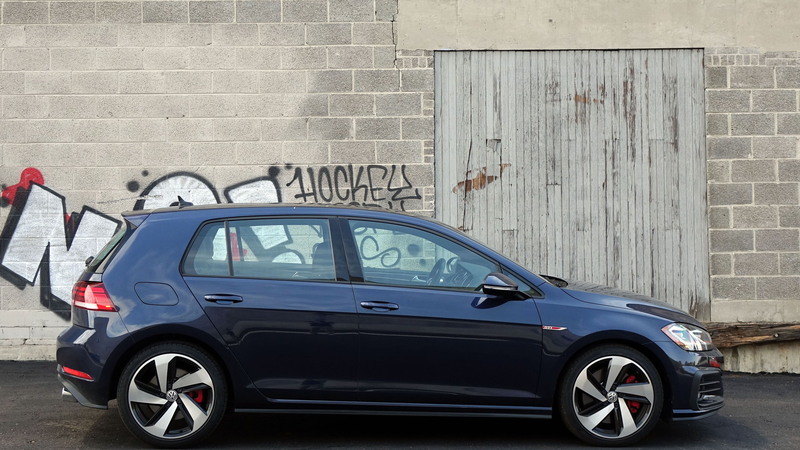 Go easier on the options and the base Golf GTI S is under $28,000. It’s a responsible buy that’s ready to do responsible things. Maybe growing up isn’t so bad after all.